← Reading, Blogging, Being Positive, and Love….Oh My! Snow, snow, and more snow! So we took advantage of our stay at home day and made: several meals to put in the freezer for weekday lunches; chopped fruit for the next few days; made a double batch of Becky’s Killer Kimchi; and some healthy homemade granola. Add in some other regular household chores and we are both done for the night!!!! Ah, but what about dinner? I’ve got a great idea! I’ll whip up a quick batch of Chocolate Chip cookies. We could call it an ‘appetizer’! But the way things are going….it could be dinner! 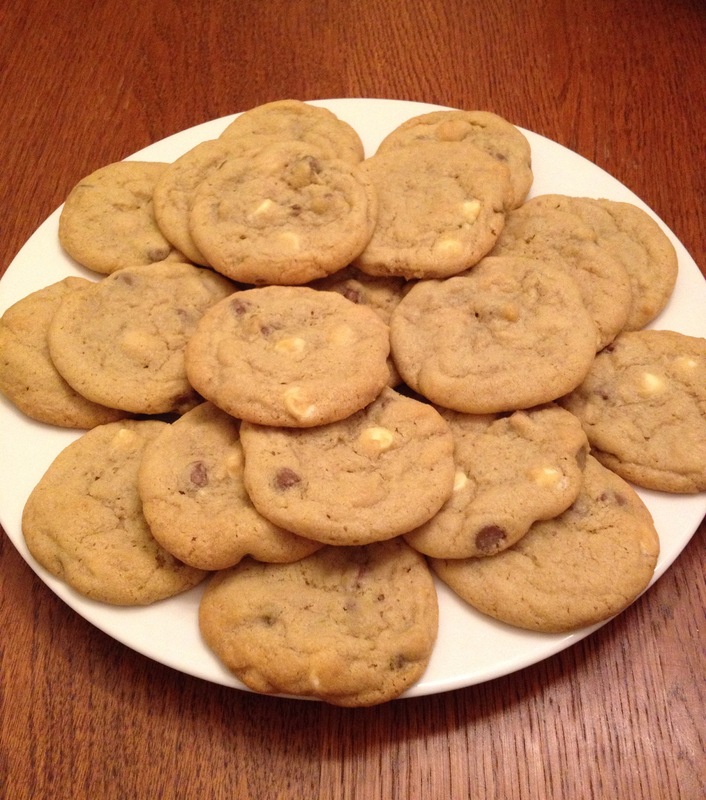 It’s not like I didn’t plan for the future…..I froze the other two dozen cookies worth of dough for another day. Posted on February 21, 2015, in Homesteading, Homesteading In The City and tagged baking, chocolate chip cookies, dinner, home cooking, homemade, kimchi, snow. Bookmark the permalink. 1 Comment. Who knew snow could be so motivating?! That’s a nice looking plate of appetizers, dinner, err, cookies 🙂 .White and milk chocolate? I just ordered napa cabbage and daikon radish seeds. I loved my kimchi last year, but Becky’s is definitely the real deal so I will be using her recipe, not soon enough. I would love to buy the ingredients, but they are impossible to get my hands on here.